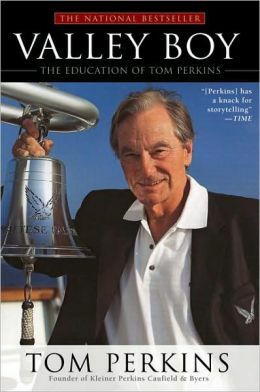 Tom Perkins, a founding partner in one of Silicon Valley's most successful venture capital firms, Kleiner Perkins Caufield & Byers, sparked outrage with his stunning "Letter to the Editor" in the Wall Street Journal. The firm distanced itself from Perkins in a tweet Saturday afternoon. Kleiner Perkins Caufield & Byers, one of the most successful venture capital firms in Silicon Valley, distanced itself from a controversial "Letter to the Editor" in the Wall Street Journal one if its founders published today. "Writing from the epicenter of progressive thought, San Francisco, I would call attention to the parallels of fascist Nazi Germany to its war on its 'one percent,' namely its Jews, to the progressive war on the American one percent, namely the 'rich,'" Perkins writes in the letter, entitled "Progressive Kristallnacht Coming?" Kleiner Perkins, as the firm is often referred to in the media and conversation, has been a major Silicon Valley player for more than three decades. The firm's past and current investments include: Amazon, Google, Facebook, Flipboard, GroupOn, Nest (which Google just acquired for $3.2 billion), Zynga, Twitter, Spotify, and hundreds more. Though the firm says in its tweet that Tom Perkins "has not been involved in KPCB for years," he is still listed as a "Partner Emeritus" on its webpage. I get the feeling Tom Perkins didn&#39;t pass that one by the Kleiner Perkins PR team. I get the feeling Tom Perkins didn't pass that one by the Kleiner Perkins PR team. Before collective freakout extends too far: Tom Perkins has not been VC for over 20 years, mostly uninvolved in tech industry for long time. I would call attention to the parallels of Nazi Germany to its war on its "one percent," namely its Jews, to the progressive war on the American one percent, namely the "rich."